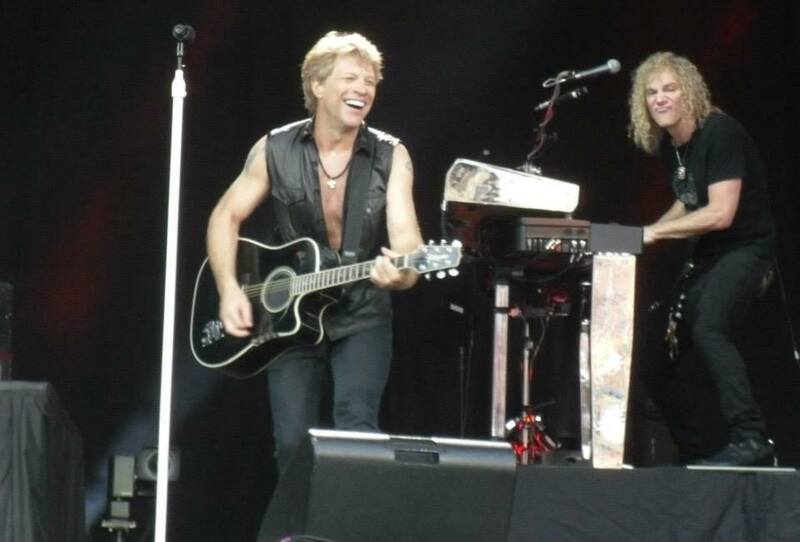 During their "Because We Can" world tour, the stadium rockers BON JOVI visited also Berlin on June 18th, 2013. They played for the first time after 13 years in the capital of Germany. 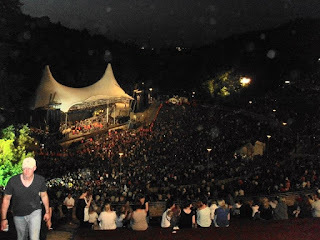 In 2000 the "Waldbühne" was also choosen as the event-location, but this time there were different circumstances. Actually, Bon Jovi should play in the Olympic Stadium, but because of "logistic problems" the concert was moved to the much smaller venue "Waldbühne". Dear promoters - do you think we are stupid? "Logistic Problems" seems to be the best excuse for bad ticket sales. The Olympic Stadium has space for 75.000 people and just 22.000 people fit into the "Waldbühne". So the new location was sold out. I've to say the location was a really nice venue. It felt like you were standing in some kind of crucible, but because of moving in this location there were some problems, which made many people angry. For example the new allocated places. Many people paid much money for a good seat in the stadium and now there was free admission in all blocks. Next problem: the stage. I think everybody knows that Bon Jovi are known for their bombastic stage designs and light-shows ... the fans in Berlin had to live without it. The venue was too small for such a big stage and of course in this location you have already a fixed stage. Speaking about the weather at this open air-event: it was sunny and really, really hot ... unbearably hot. So far to the circumstances. At 6 pm the Austrian singer Christina Stürmer entered the stage and she played in 45 minutes her well-known German pop/rock. Not really my cup of tea, but I have to admit that she seems to be a really sympathic person. The songs were easy to listen to. Sadly they sounded way the same, but it's always hard to be a support act for such a big main act. She did well. After her appearance you could feel how excited everybody was. It was amazing to see how 22.000 people were doing La-Ola-waves. At 7.30 pm the moment finally arrived: there he was - the man with the billion-dollar-smile and his band. Right from the first moment the guys of Bon Jovi had the crowd under control. While playing "Thats What The Water Made Me" everbody was cheering and partying - wow what an amazing start. The show went further and further with all those hits the band is known for: "You Give Love A Bad Name", "Born To Be My Baby", "It's My Life", "Runaway", "Have A Nice Day" or "Livin' On A Prayer" made the crowd go insaine. The party-feeling reached it's climax with "Captain Crash & The Beauty Queen From Mars", where lots of fans threw confetti in the crowd. Also cover versions like "Pretty Woman" were much fun to listen to. 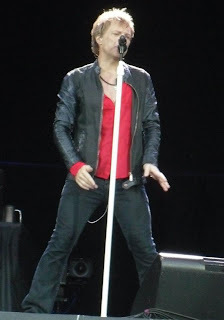 It was a bit sad that Bon Jovi took off a bit of drive each time when they played some of their more new songs. 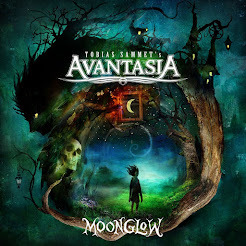 "Lost Highway", "Whole Lot Of Leavin" or "Amen" - I don't need this stuff and I think I'm not alone with this opinion. It slows things down too much. Would have been better to put some more real rock gems in the setlist like "Blood On Blood", "I Believe" or something like that. So talking about the setlist I've to say it was not the best. On Bon Jovi shows you always wait for some real rarities - something they didn't play for a long time and the setlist in Berlin had no big surprises till the last encore. Here Bon Jovi tried to fullfill some fan wishes and the biggest surprise here was "Never Say Goodbye" in an acoustic version. Well done. It was also really cool that Jon let the audience decide which song should be the last one. We had the choice between "I'll Be There For You", "I Love This Town" (nobody wanted to hear this) and "Always". Yes and the latter made it. So finally we got a set with 27 songs and a playtime from 2 hours and 50 minutes - that's value for money (although I think tickets are much overpriced!). So let's talk a bit about the musicians: Jon Bon Jovi - what can I say about this guy. I think to many (female) fans he's god. And yes he has a really strong presence on stage and he knows how to handle the crowd. It's always fun to see him perform. That isn't the case when it comes to singing ... people who read my review to "What About Now" already know what I mean. Jon lost a lot of his vocal range over the years and sometimes it feels like he torments himself to reach the high notes. He isn't the best singer anymore, but all in all he did again a great job. It's just his charisma on stage which makes you overlook the problems with his voice. 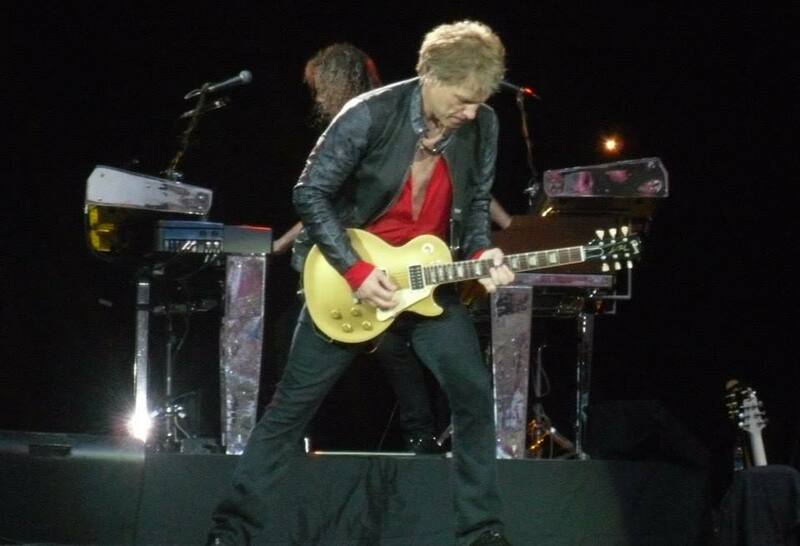 David Bryan on Keyboards, Tico Torres on drums and Hugh McDonald on the bass delivered also great performances as usual. You can count on these guys - every time. David was also allowed to sing the second verse of "In These Arms". Now let's speak about something you already waiting for: the disappearance of my guitar hero Richie Sambora. We don't really know whats going on. Due to personal issues he doesn't attend the shows since April. There were lot's of talking in the meantime if there is any trouble between him and Jon and yes I can imagine this could be true. I don't want to have Jon - the businessman - as my boss. But we don't know what is really going on. All I can say is: I really missed him in Berlin. 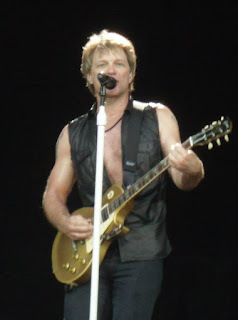 Bon Jovi without him isn't Bon Jovi. For sure it was a stunning show and I had lots of fun, but the magic was gone at this night. The special moments between Jon and Richie, which made each show to something really mind-blowing weren't there. Just think of "Wanted Dead Or Alive" or "I'll Be There For You". Each real fan will know what I mean. 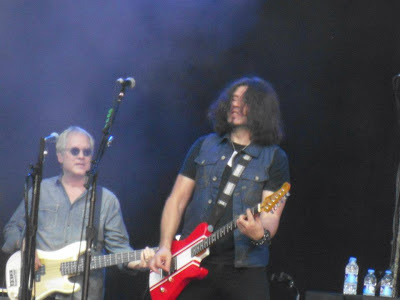 Phil X filled in for Richie and yes he did a good job in general, but there were also some solos which sounded really strange and outlandish to me. You can't replace Richie Sambora - his presence, his guitarplay and his voice are so important for this band. Jon, if you read this: don't underestimate him! I know lots of people who said they won't attend a Bon Jovi show again if Richie is still away. 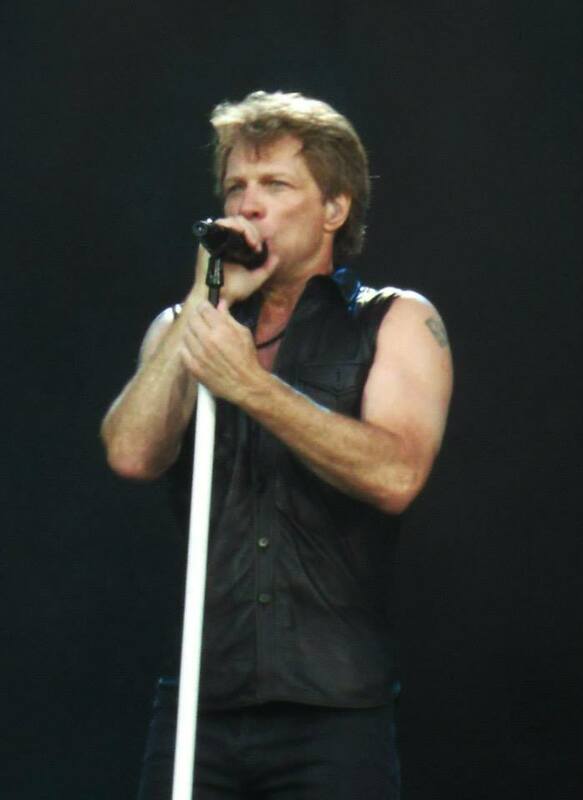 So the bottom line is that Bon Jovi are still one of the best live bands in the world. This big Rock'n'Roll party was much fun, even if there were some critical points this time. Let's hope they will be back soon - with Richie Sambora on guitar again! Every rock fan out there just has to attend at least one Bon Jovi concert in his life ... you'll be blown away by all those hits and classics. Catch them up on their current tour! Jon, the business man. He owns a big area around his mansion. So, to not pay a high taxes from his land he registered himself as a beekeeper, selling a honey and this can allow him to pay less. His total sales for honey in previous years were little over $500.00, but under New Jersey law, where he lives, that amount allows him for to pay much less taxes! He loves the bees...seeing them three times a year, owns some 10 beehives and he is so poor, doesn't have enough money to pay taxes ... Jon, shame on you! Ritchie probably can see more into his filthy businesses. Yes, Ritchie is great, the same as he was before. Wow, that is something I didn't really know. Yeah making money is Jon's hobby. That's why I don't want to have him as my boss. If you just think about business the creativity remains on track, somehow. 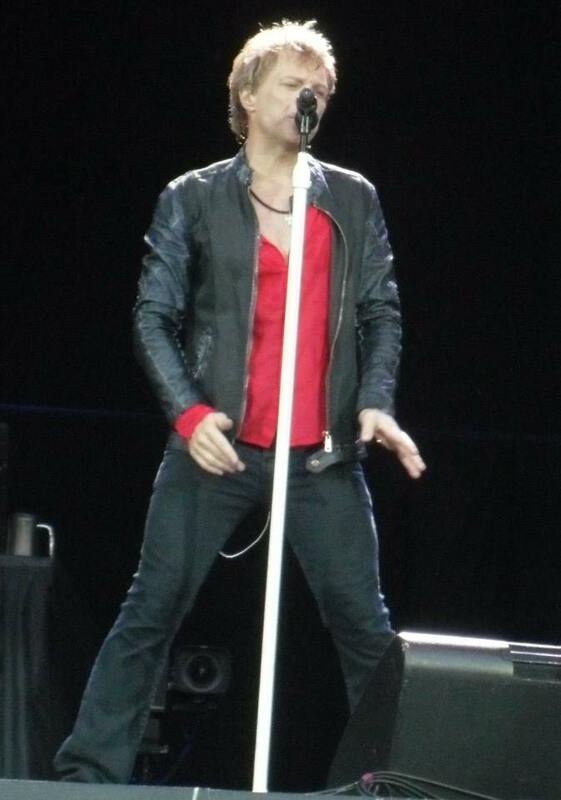 Jon Bon Jovi, the bee farmer. !